Bryony’s third and final blog. Hello, me again, Bryony. That work experience girl you all know and love to hear from. I have been here over a week now at 2BU and feel sufficiently confident just mucking in and getting on with anything I can help with. I feel really involved in all the different projects, which is great for me, but sadly there is something that has been on my mind causing me a bit of bother in my time here. I haven’t quite had the courage to speak up yet, and I didn’t want to make a scene, but I need to be brave and come out and admit it. Being in the countryside is great and everything, but Elspeth the wasps are scaring me. Right, said it now. I’ll move on. Today I decided that it is about the right time to give myself a title, and am labelling myself Research and Production Intern so that I can feel all big and clever. The fact that I am 5ft 2 and sometimes a little bit gullible is irrelevant if you ask me. Therefore, if you don’t mind loyal subjects, that is how you will refer to me from now on, because honestly, it sounds nice on my CV. Now you know that I am a Research and Production Intern, I can tell you where I fit into the production company and help out Elspeth, the boss. Having thought I had finished my degree it was surprising to have to snap back into the role of student whilst I helped put together a report on children’s engagement with science. I found that I actually did this much quicker and probably a little more professionally than I did my uni work, so that perhaps doesn’t bode well for when I receive my results! I have also been involved in mind-mapping programme name ideas, writing character profiles, helping to draft very important emails and getting to be all creative. What a learning curve a week and two days has been! And to demonstrate how hard life really is here, I even get lunch made for me too! I am having the most wonderful time here, and I will be sad to go. It is so nice working for someone who really appreciates what you are doing, especially when it is their business and their neck on the line. And I know what it is like to be treated badly by a boss, last year I worked in a horrid call out centre where ‘rude’ doesn’t even come close to how you were spoken to as an employee there. As for my future after 2BU, I have absolutely no idea where I am headed. Fingers crossed I’ll get some winning numbers and sail my yacht around the Caribbean. But as far as 2BU is concerned, I know it’s moving full steam ahead and some big things are going to happen here. If my word isn’t enough, some VIPs have said so too. Can’t disclose who yet, that is for the inner circle to know and you to find out. 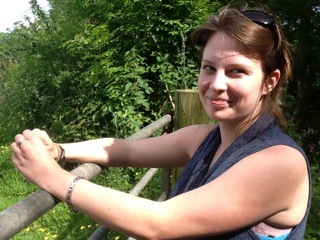 The second blog from Bryony during her week in my office. It is that time again, and I know my fans will be desperate to feast their eyes on today’s blog about my time at 2BU. Well I will not disappoint you adoring people, because on day two I feel sufficiently able to tell you more about How 2 Be, Elspeth’s baby and my favourite of her projects. With seriousness now, I’d like to inform you about this project because it really means something. In fact How 2 Be it isn’t a project at all, it is a guide to life through the eyes of teenage girl who doesn’t know anymore than the rest of us and doesn’t pretend to. The concept is one of a dependable friend who may not have all the answers but will try pretty damn hard to find them. The main character Hailey is normal, confused and growing up in chaos, but as we watch her grow and learn about the world around her, she becomes a confidant, a teacher and in some cases a lifeline. Although Hailey is but a twinkle in Elspeth’s eye at the moment, you can tell she is not far from hitting the big time. The reason I can tell is because, despite being now what I perceive as really old (I never really intended on growing up), I can remember what it was like to be 13. What happens to Hailey resonates strongly with the experiences I had in my own life. The difference is, what she goes through will be delivered interactively as a self-help guide to all those perplexed young girls and boys who are trying to grow, to learn who to trust, and to make it through the day without falling apart. I remember the little girl in me who had to grow up through magazines, Jacqueline Wilson stories and through school girl conversations, because my relationships with adults were at times very weak. I know that girl would have liked Hailey and quite often she needed her. She was lonely, she often felt as though she was the only person in the world who ever felt upset and she was in desperate need of consistency. Yes, I managed to muddle through my teenage years and make it out the other side, but what is the point in muddling through if you can have a companion to help carry that massive burden of growing up. Having Hailey there to hold my hand could have made quite a difference. Having just been thrown into the deep end on my first day of work experience for 2BU Productions, I find myself just about managing to tread water. After a nervous bus ride in, and very little idea of what to expect, by 10.30am my morning already consisted of horticulture, Internet issues, and top secret information. Despite being thoroughly welcomed into the home and work life of Elspeth, I could not help but imagine that I had got off at the wrong stop and ended up at MI5. With tales of media deception, confidential story lines and the prospect of agency deals, I began to feel that media was even more exciting than I thought. Strange then that these dramatic and somewhat erratic goings on are instigated by one person’s work in the upstairs office of their home, against a backdrop of rolling hills in the Devonshire countryside. As a young female graduate, it’s good to see that a woman can actually have it all – a great lifestyle and an exciting career, dictated by the effort and groundwork put in to make something happen. It is not all about hard work and steely determination however; there has to be some sort of heart when you are your own boss. A want of heart hardly seems an issue here. This is the second time I have met Elspeth after a series of negotiation emails and updates and it would be hard for anyone to miss the excitement and intensity in her expression when she talks about her work. One project in particular, How 2 Be, which has been ongoing since she was just ten, clearly spurs her on. Unsure of how much I can reveal without getting a telling off for spilling the beans on hush-hush operations, this venture sees business, creativity and personal experience inextricably linked. Normally one would try and detach business from their private life but both are used to complement each other to create a sincerity often lost in the big bad media world. What I have witnessed so far is merely a snapshot of life at this production company, but given time I will tell all (well, what I am allowed to tell anyway).